Bitcoin is making people rich, and you can become the next millionaire. Obviously, this is a gross oversimplification at best, but that the first sentence you read when browsing through the Bitcoin Trader SCAM software, app, and already exposed get-rich-quick scheme. The Bitcoin Trader Scam has repeatedly “starred” in our scam reviews due to it’s manipulative and misleading nature, and it looks like this trend will continue during 2019. This will not be the usual Bitcoin Trader review you are used to reading. Today, we will examine Bitcoin Trader through a prism, and try to view it from as many different angles as possible. We will do so because we believe Bitcoin Trader is a distilled version of everything which is wrong with Bitcoin in general, and through it we can learn about how all forms of financial scams are evolving and what the future holds for opportunity seekers, day traders, and just every-day people searching the internet for a legitimate system which can help them generate some passive income online. Some of our newer members are not familiar with Bitcoin Trader, so we will explain briefly. Bitcoin Trader is what we refer to as a shell, or a simple website with some HTML code, a sales video, and a registration form which integrates into a Forex and CFD broker. Regardless of what you may read or think, the Bitcoin Trader platform is just hype wrapped up in lies and it doesn’t matter what broker you are dealing with because you are set up to lose. This is happening because your loss is the brokers profit, and they split the loot with the affiliate marketers and promoters who sell you the lies. That’s how it works, period. You can’t win and this is an undisputed fact. 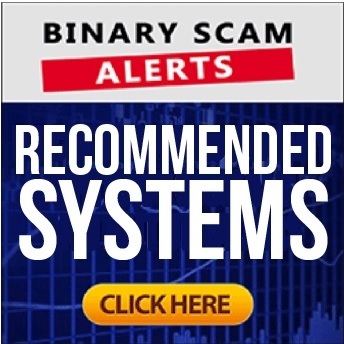 The Bitcoin Trader system was initially launched by today’s leading crypto-scam affiliate network, and since then has been duplicated and integrated with various forms of software and brokers. Some of the more used variants of this scheme are Bitcoin Revolution, Bitcoin Secret, Crypto Revolt, and Bitcoin Formula. We have previously referred to this type of operation as a production line scam. This is because the websites are copied and duplicated thereby saving time and development costs for the promoters. This is particularly important at a time where the lifespan of each scam is significantly shortened due to the fact that they get blacklisted almost immediately and as a result less effective at baiting innocent victims. Below is a partial selection of duplicate scams we were able to produce as proof of chain scamming. Bitcoin Trader Dragon’s Den, Shark Tank, Elon Musk, and Richard Branson, represent a partial list of celebrities and wealth gurus whose reputation is constantly being used in order to peddle fraudulent software online. Particularly vehement in their reaction about how their name is being associated with the Bitcoin Trader scam are Steve Baxter and Martin Lewis, a UK-based blogger. Believe it or not but Bitcoin Trader is packed full of fake reviews, and they all rank at the top positions on Google searches. So the ecosystem operates much like a jungle in this context. The affiliate networks purchase large amounts of advertising space in various networks, search engines, and social networks like Facebook. This in turn feeds the review websites, some of which actually do a solid job of exposing the lies, while othera hop on this trend and siphon off some of the viewers to their websites. These viewers turn into registered members who will believe these fake reviews and actually invest. When you invest the websites get a cut of your losses, and that is how the cycle works. The brokers are the ones at the center of everything because they pay the promoters and affiliate networks. That means when you see an advertisement for the Bitcoin Trader, you are NOT signing up for that software. You are registering for a broker without even knowing about it, and that is a lack of transparency which we totally abhor. The amounts of money lost and damages incurred by the Bitcoin Trader scam and its variants account for millions of Dollars, Euros, and Pounds which have been illegally stolen by thieving brokers such as Konto FX, Hybrid Reserve, and GFC Investment. We can’t even begin to describe the types of complaints which we keep receiving in regards to Bitcoin Trader. We have explained everything which is wrong with Bitcoin SCAMS, but on the flip side there are systems which are legitimate and do produce passive income consistently. You can find them in our recommended system section, so take a minute and check them out. The Bitcoin Trader SCAM software is probably the most notorious and excessively used Bitcoin scam. The superlatives we have used to describe this filthy ruse range from absurd to extremely deceptive, but the bottom line is always the same. The promoters target victims who are in need of money, and instead of helping them generate income they worsen their financial situation and line their pockets in the process. That is the dirty part of the scam, and we have had discussions with pensioners who can’t afford to buy medicine, and single-mothers who need to work a second shift to compensate for loss of money. This does not bode well for anyone who is strapped for cash and in a susceptible state of mind, because these crooks will use every trick in the book to pick your pocket and then send you on your way. In a nutshell, don’t signup for Bitcoin Trader and start trading more responsibly because you can’t afford to lose money and who wants to feed the scammers anyways right? Don’t forget to reach out and message us if you need additional information. We are available via our our Facebook Page and YouTube channel .